A job transition, no matter the circumstances, is a tough road to walk. 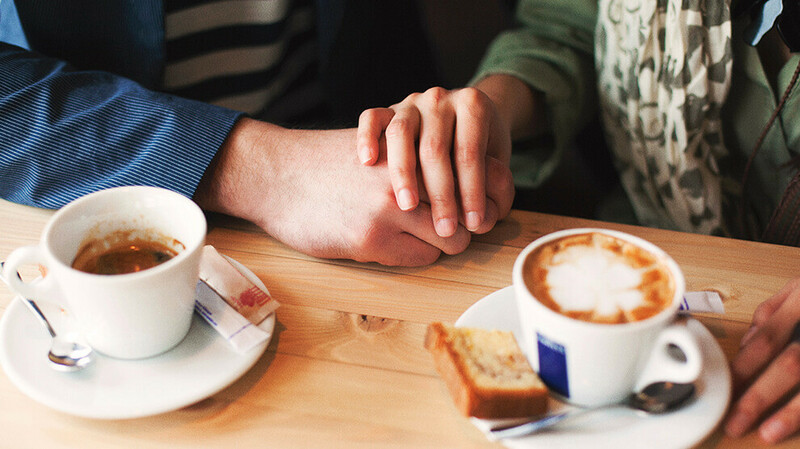 As you walk through this time with your spouse, here are five ways you can love them as they move into what God has next for them. Take control of your financial future with Financial Peace University. My wife used to have one of those jobs she almost—almost—would have done for free. She had a job that felt more like fun than work to her. It energized her and let her lean into her gifts and talents. She really felt God had called her to it. But then a transition out of that job happened, and we had to reconsider a lot of factors: our time, our budget, our future. As I supported and loved her through this transition, I learned a lot. If your spouse is experiencing a job change or loss, I think these lessons could be a blessing for you too. It's God's job to do a work in your spouse, so don't feel pressured to do the work yourself. Leaving a job can be emotional for your spouse, especially if they’re wired like my wife and pour their heart into their work. Don’t be surprised if they even go through the five stages of grief: denial, anger, bargaining, depression and—finally—acceptance. Love them through these stages and be careful not to dismiss their feelings. I learned this the hard way. It was much easier for me to move on than it was for her. After all, I still had my job! So honor their emotions and give them time to grieve the loss. God will use this time to do a great work in them, so don't feel pressured to do the work yourself. Just love them through it. If you’re going from two incomes to one, or from one to none—even if temporarily—your budget’s going to have to adjust to reflect that. Work with your spouse to look at each line item to decide if you can cut it completely or at least trim it. Keep your frustration to yourself if your golf sessions or salon manicures are out. To ease your spouse’s guilt about your family’s leaner lifestyle, let them choose where to cut first. Once they suggest a few areas, offer up a few yourself. Some things we cut immediately were lawn service, a house cleaner, after-school childcare, eating out and new clothing for all of us. It was tough at first, but it’s our new normal now! Don't pressure your spouse to make a quick decision about their next career move if you don't financially have to. If you can, take time to reevaluate your family’s goals and desires. Ask yourselves, Is this what we want again? Do we want to reroute instead? We decided to use her job loss as an opportunity to take a fresh, hard look at our budget and to give her time to be at home with the kids—something she couldn’t do during her last season—instead of rushing into another full-time job. Your spouse will face a major identity shift as they transition into a new season of life. When they’re feeling a little uncertain of who they are, remind them what you love about them—qualities unrelated to a job or career. Help them discover who they are outside of work. Verbal affirmation is huge! I remind Holly all the time how much I appreciate her supporting me and our family. I remind her how she’s an awesome mom to our kids and how I notice her engaging in more teaching moments with them because she has the time to do that now. Maybe a job loss is God’s way of closing one door so He can open another for your family. To honor that transition, start something new together that you didn’t have time for in the last season of life: a hobby, a date night, a house project. Holly and I started working out and tackling house projects together. Focusing on those things will keep hope alive and energy up as your spouse seeks to understand God’s plan for their future. We've had a blast learning new things and being reminded that we’re still in the kingdom-building business. We’ve spent a lot of time preparing our house to be a place of ministry and healing for guests. It has given Holly a renewed sense of purpose and generated fresh energy and hope as she looks ahead. Slowly, this new season has stopped feeling “new” and started feeling normal. A job loss (or change) in your family doesn’t have to be a bad thing! Make any necessary budget adjustments, support and love your spouse as they transition, and view it as a new, exciting season for your family. You’ll get through it, and on the other side, you might even be amazed to see how God used it to create a better future for your family than you ever thought possible. Experiencing a life transition? In Financial Peace University, Dave Ramsey walks you through the basics of budgeting, paying off debt, and planning for the future. Learn how to get on the same page with your spouse about money and create a budget together. Sign up for a class today!